Our social feeds are getting more cluttered with every passing year. Moreover, more than knowing what our friends and family are up to, our timelines are jammed by brand messages showcasing their new wares. Life is floating by one festival at a time and we are swamped with a battery of festive wishes, on our Facebook, on our Whatsapp, on Messenger and so on. These information-flooded times call for a clutter-free message, a simple, heart-warming picture that can say a thousand words and maybe some more. Brands and their creative agencies are working round the clock to ensure they stand out in the social web, especially during festivals where they can bond better with consumers. And, that’s where visual content creation plays a role with its ability to capture human attention faster than a text message would. Our brains are wired to process visuals (even complex ones) faster than a series of sentences. Last Diwali, we had quite a few brands join in the Diwali cheer with creative visual greetings ushering in joy, prosperity, health and wealth. Read: 21 Cool Brand Visuals & GIFs Shared On Diwali. This year, the number of participants have risen. Nearly all brands right from banking and insurance, FMCG to automobile and tech companies have rolled out interesting Diwali visuals for their fans on social media. While some have chosen to convey meaningful messages, a few have kept it witty, and while at it, helped bring about a brand connect. We bring you here, a list of Diwali visuals rolled out by brands, that are aligned to the festive spirit as well as tie up with the brand philosophy or the ongoing Diwali campaign. The energy drink from Bisleri need not say anymore! 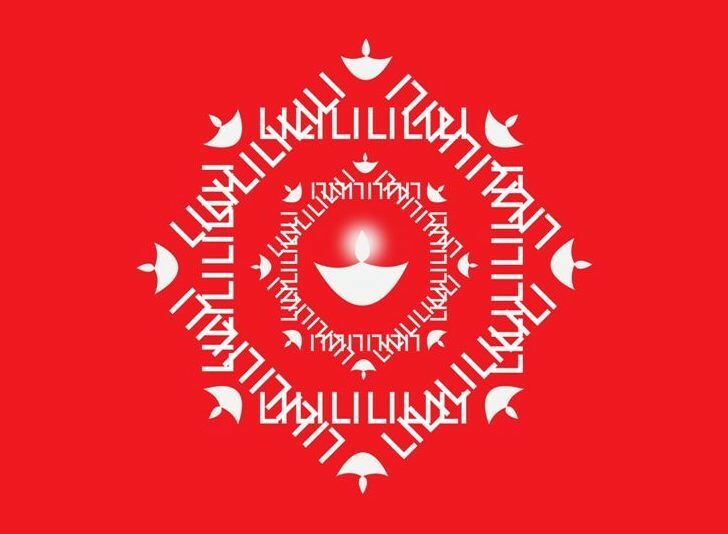 Let’s share love and delight on this festival of light. The hyperlocal delivery app makes a sweet point about safety. The dating app blends love into the festival of lights. The gourmet food cafe rolls out a cute one derived from the logo. The holiday brand smartly conveys a better way to celebrate Diwali. The grocery app brings you a river of diyas! The mutual fund company associates itself with your blooming future! The oats maker wants you to go healthy this Diwali, but few would be ready to pay heed to them. The mineral water brand keeps it simple. The grocery chain lays out its range in colour coded goodness. The food app keeps it punny! The security solutions provider smartly promotes its safe, endorsed by Lord Vishnu himself! The budget hotel chain has been urging folks to give in to their travel wishes this Diwali. The publisher has kept it simple by sharing a series of quotes from the achievers and authors that shaped our minds. What is interesting is the textual placement within various Diwali crackers. Donuts do everyday what Diwali does every year – spread joy and happiness! The snack brand wants you to have a chatpata dhamaka. Dhara is on a new journey, the edible oil is looking to position itself as #IndiaKaTadka and what better occasion than Diwali! Heard about ‘hawaii patakhe‘ before? Now you know, thanks to this refreshing gum brand! The online marketplace plays with its logo. The music streaming app also plays with its logo. Ola plays with brand colours to bring out the festive cheer. The candy flavours get naughty this Diwali! Diwali is a god-sent festival for this brand! A smart play on the logo by this housing portal. The used goods marketplace wants us to #LetItGo this Diwali. The traditional drinks maker rolled out an artistic paper cut series of visuals to promote its Diwali gift pack that also contained, apart from the juice packs, an Amar Chitra Katha Ramayan book. The ‘Unbox Zindagi’ ecommerce brand adapts its new logo with Diwali cheer. The skin care brand keeps it engaging this Diwali. The ecommerce brand rolls out an interesting Diwali greeting. The airline takes the most creative approach to Diwali as the celebration of the Lord’s homecoming! The snacks brand has a solution to let go crackers this Diwali. Practo’s Diwali illustrations are relatable and bound to bring a smile to your face! The ecommerce brand keeps it really simple. The designer apparel and home accessories brand is out with a visual treat. The travel brand wishes to give wings to your travel dreams. The cab company keeps it lively. May every aspect of your life be as bright and luminous as the fireworks in the sky. The wealth management brand makes a smart play with its logo. The online bazaar categorizes each member of the family, and you can relate so much to it! The matrimonial site keeps it fun with a series of gifs blending the beauty of a relationship with the spirit of Diwali. The Zoozoos never fail to bring a smile to your face. The ice cream brand rolled out a series of visuals with thoughtful messages. The brand opts for a clever visual play on its product. The airlines plays with its logo and brand colours. Recycling gifts is a tradition every Diwali! The travel brand wishes more journeys for us! The stock broker smartly conveys what an SIP investment can do for you! An interesting gif from the housing portal. The beer brand wishes for ‘Good times’ with an animated gif. The food app keeps it simple. The travel brand wants you to celebrate a new kind of Diwali. The bank keeps it traditional. The holiday maker plays with its logo. Reliance Jio is the light of your digital life! Light can mean different things, as shown in this animated gif. Coffee art takes over in this interesting gif. One cannot miss the pun in this illustration! The camera maker has a sweet message for you. The comedy channel has a message for you from Dr. Ross. Here's a PSA from Dr.Ross Geller, Paleontologist. The mobile browser makes it a lively one. The camera maker emphasizes on capturing ‘memories’. The brand looks to promote Allo. The brand keeps it simple. The mattress maker promotes its back-protecting technology in smart visuals. Diwali crackers from McDonald’s fries! The bank has a bright, noise-free Diwali message, watch closely. The carrier keeps it fun. Pizza plays an important role both in this gif and in life! The foodware brand makes for some casserole artwork. The water heater maker rolls out a hot bubbling diya! The made for gifting brand rolled out a series of apt visuals this Diwali celebrating the #JoyOfGifting. Titan Estore imagined the diya and Diwali crackers from its jewellery range. Curating these Diwali visuals and gifs has been fun this year, do let us know your favourites in this list.